Judith has been playing piano and organ since she was a young child. She graduated from Seton Hall University with a focus in music. She has been teaching piano for over 30 years in the Washington Metropolitan Area including instruction for group piano lessons for Montgomery County Public Schools and privately to hundreds of students in the area. Judith looks for each student’s strengths as a musician and encourages the student to develop an appreciation for the music that they enjoy. 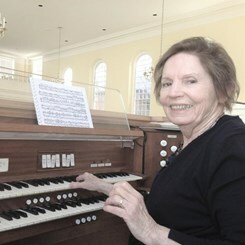 Judith’s students often participate in local events, if they choose, such as recitals, Piano Guild Participation, and Northern Virginia Sonatina Festival. Her focus on technique and expression allows the student to reach their personal goals and beyond. Judith is a member of the Virginia Music Teachers Association, Northern Virginia Music Teachers Association, National Piano Guild, and Fairfax-Loudoun Music Fellowship. She looks forward to helping your student reach their full potential! Request Lessons with Judith today!